The Dan Abrams Show: Where Politics Meets The Law this week showcases three of the best law enforcement experts on cable television. Co-host Sean Larkin, who started as a patrol officer and member of the Gang Unit of the Tulsa Police Department, was often broadcast on Live PD. He quickly become a fan — and host — favorite. Larkin says the attention he receives as an officer is many times amplified by the popularity of Live PD, but Dan is not convinced that’s all. The other co-host is Tom Morris Jr., former America’s Most Wanted senior correspondent and Washington DC special police officer, who joined the show without fully realizing what he signed onto. In the podcast, Morris recounts his first day on set, where he believed the show to be much shorter than its actual runtime. And the three hours of filming twice every weekend requires more than your typical control room producers. 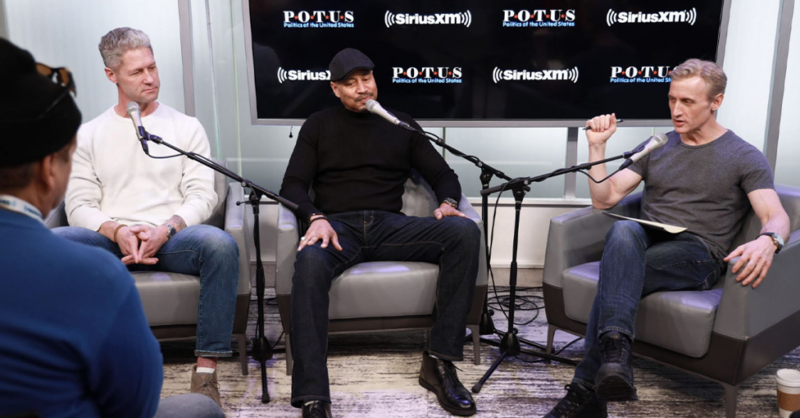 The trio discuss the phenomena of Live PD Nation which has garnered an expansive online fan base; the K9 officers who risk life and safety like their handler counterparts; and the most important contributions Live PD offers viewers and their communities.